We already wrote in a previous article about a gift on purchase promotion for men by Adidas. Well here is a similar promotion made by Adidas for women. 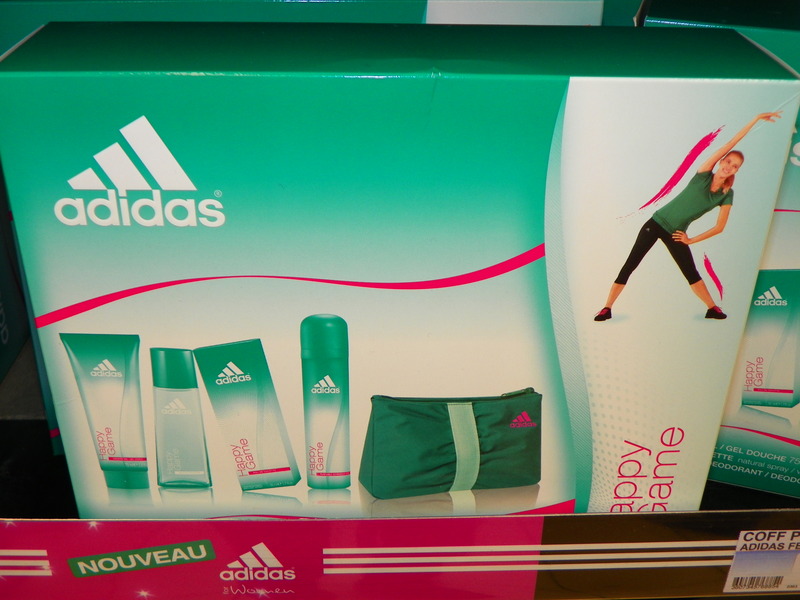 Over the Christmas season, in just about all French supermarkets you could find this free Adidas branded toiletry bag for women. To receive this promotional gift, simply purchase a complete Adidas toiletry kit made up of : a deodorant, a perfume and a lotion.